In a former life, I studied literature and creative writing, so it’s no surprise the mantra “show don’t tell” is one that will forever ring in my ears. When I see something like Apple’s holiday TV ad, I am impressed to see someone get it so right. Let’s see what Apple did here, and what lessons can be learned. Obesity Among Kids – A Media Problem? I will not debate the merits or dangers of technology for kids in this post, I just want to identify a problem that confronts technology companies. 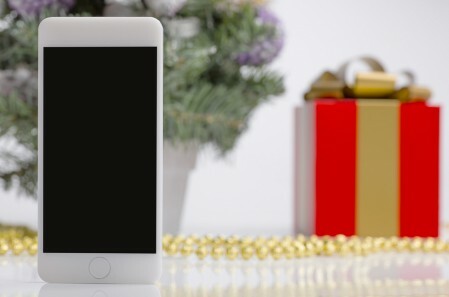 As we roar into the gift-buying season, parents and grandparents, aunts and uncles might recall articles like these and choose to encourage more “healthy” habits in the children they love and steer clear of buying phones or tablets or computers. This problem is not product specific; for companies like Apple, fear of technology can impact every product produced. There is no “telling” in this ad; it’s all showing. The young man seems to be absorbed with his device and disengaged from his family, but the viewer is not “reading” him correctly. This is revealed when he shares a touching movie that captures the fun and love and tenderness of his family’s holiday celebration. Technology helps the boy show his family what he can’t tell them – that he “sees” them, that he treasures them, that he loves them. And as the viewer is awash in the glow of a very real-feeling family moment, the Apple logo is briefly presented. While what we see is one instance – one story, the implicit arguments here are general ones: technology is good for young people; it’s good for families; it makes people feel happy; it brings people together; if you want to bring this kind of joy to your family, buy an Apple device. As your nonprofit organization puts together last minute appeals for 2013 and looks ahead to a new year of fundraising, think about how you can “show” the impact of your work in order to engage your constituents and inspire them to lend support. Think about the real people you touch. Think about your story. Make it emotional. If Apple can do it to sell tablets and laptops, you can do it to support your mission.